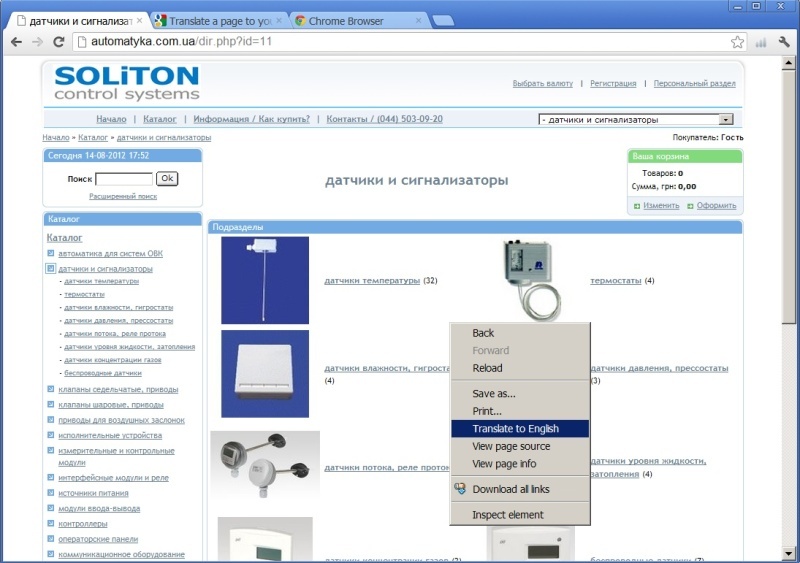 2) Start Chrome, download our site www.automatyka.com.ua and click right botton of the mouse. 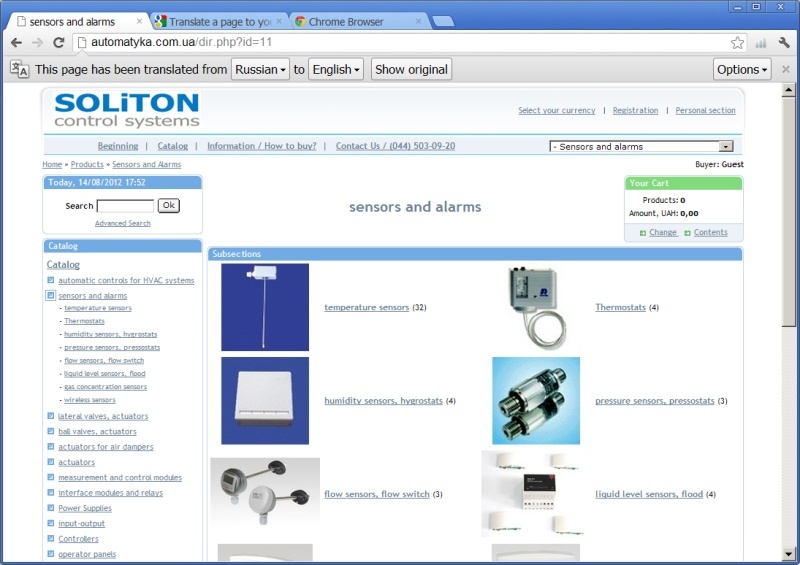 You can see our web page by English. 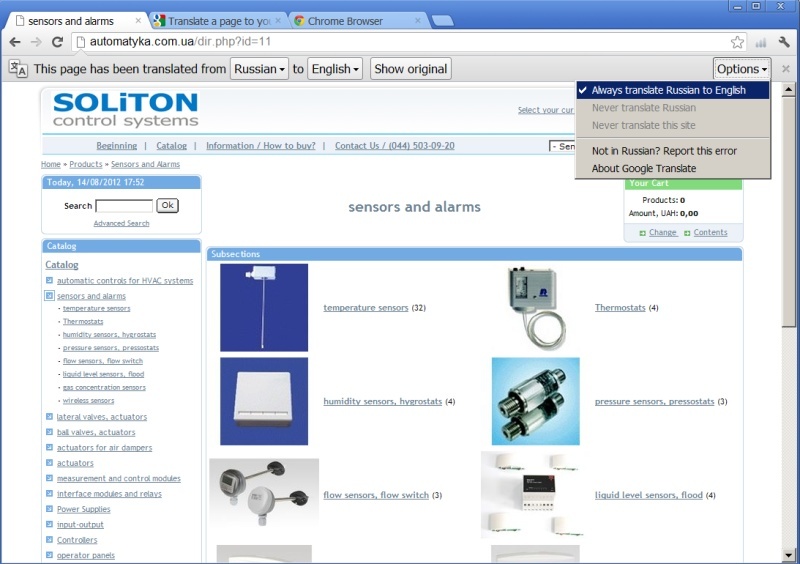 Please note that you need to select in translation bar “This page has been translated from [Russian] to [English]”.